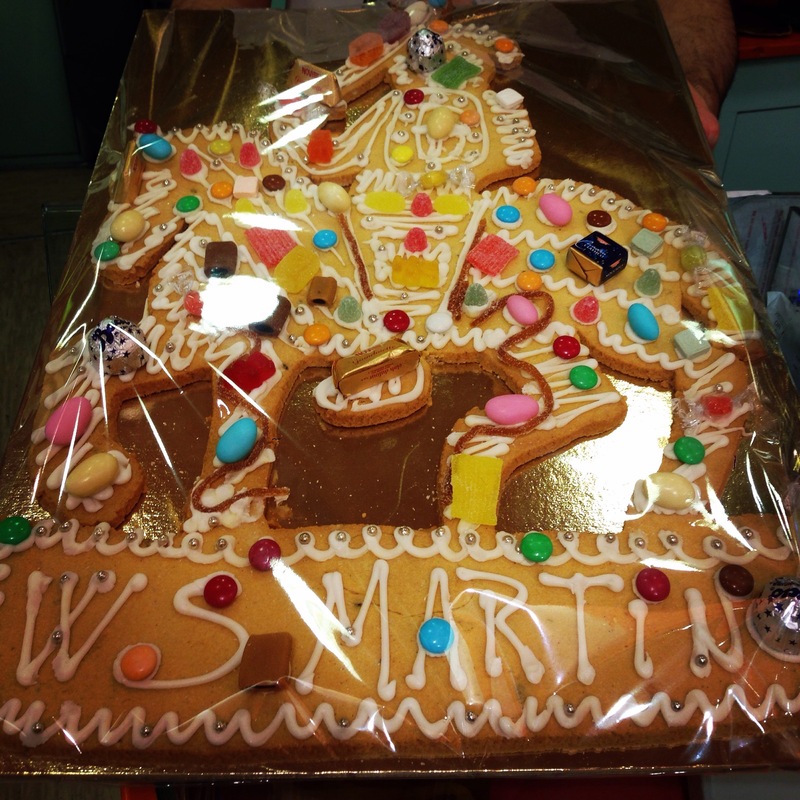 Today, November 11th, Italy celebrates San Martino, Saint Martin who was a solider in the Roman Empire who became a Saint from his humility and generosity. 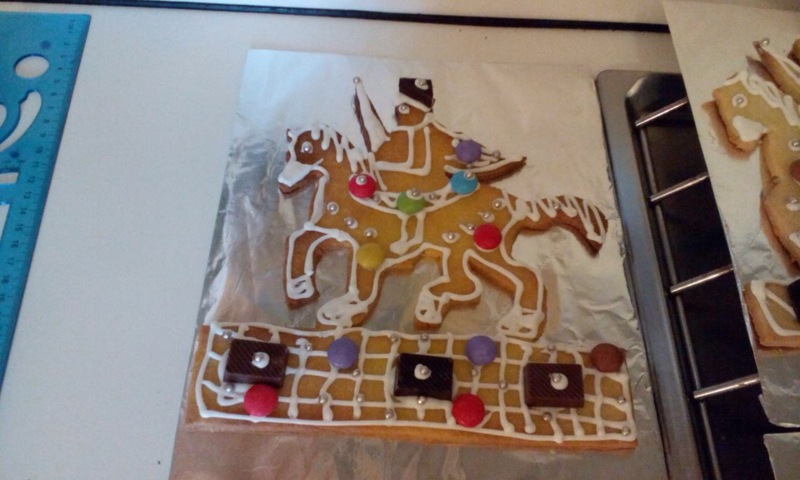 The legend goes that while he was riding at the gates of the city of Amiens with his soldiers, he met a poor, freezing beggar, cut his own military cloak in half and shared it with him. That same night he dreamt of Jesus wearing the half-cloak he had given to the poor man and that Jesus was thanking him for his compassionate gesture. 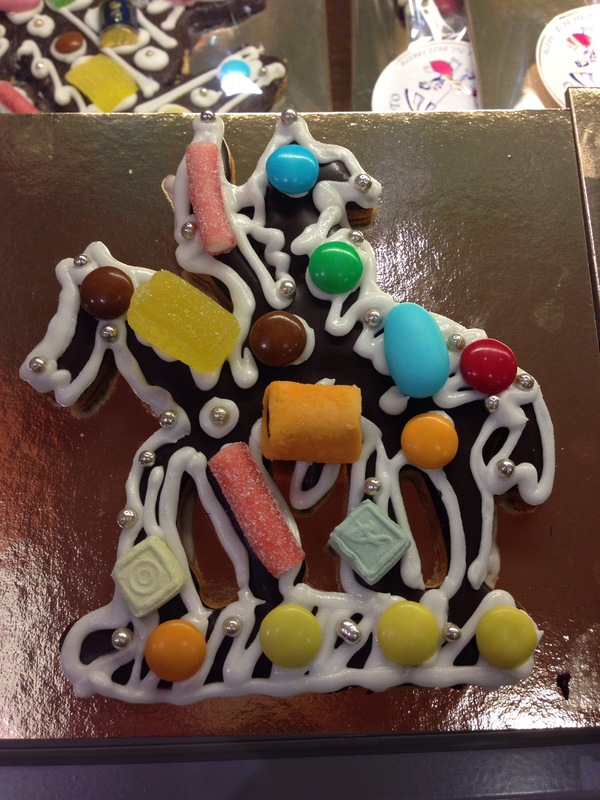 In Veneto region, you’ll find a cookie of San Martino a cavallo in every pasticceria. 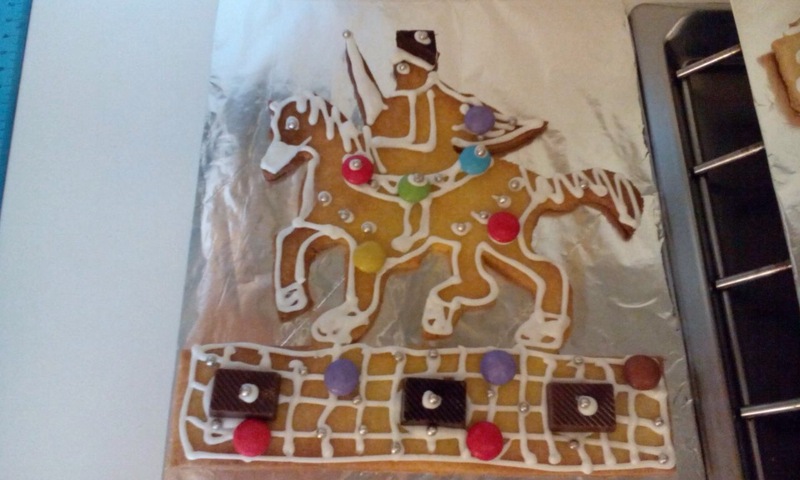 Decorated with icing, candies and chocolate. Ranging in sizes from mini to extra large. 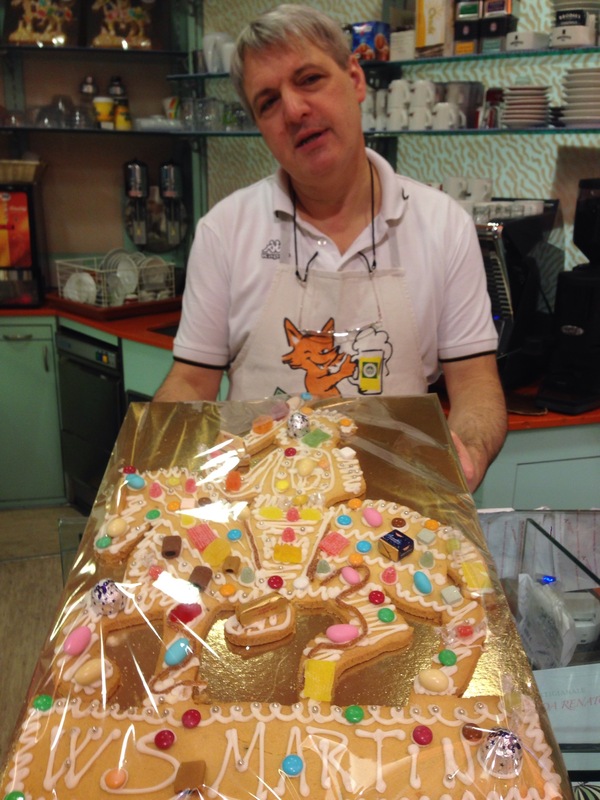 Renato, from the Pastecceria di Renato in the center of Treviso did an amazing job making San Martino a cavallo for this years festivities. He was eager to explain to me the story of the Saint himself. 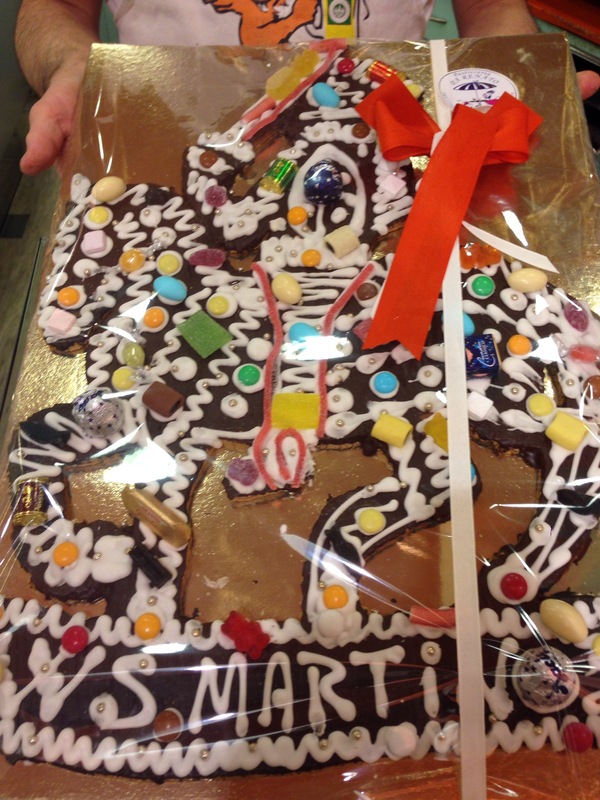 You can also make the extra large cookie at home. My friend and her daughter did so together. 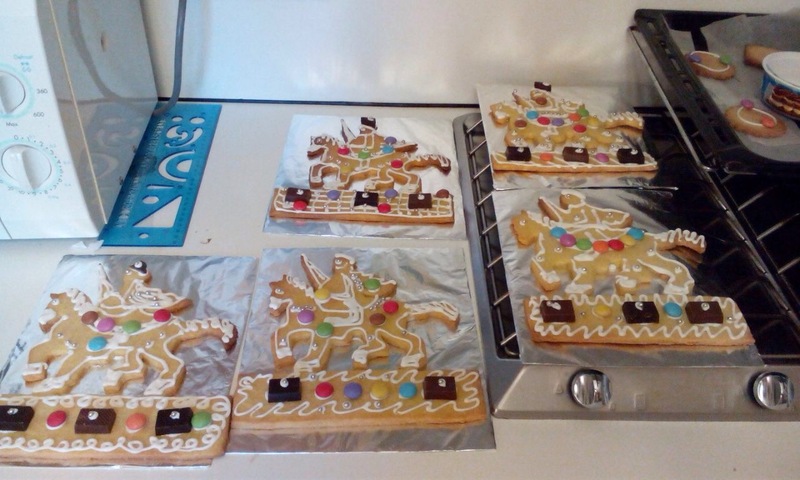 Check out here how to make the San Martino cookie and how to decorate it as well.